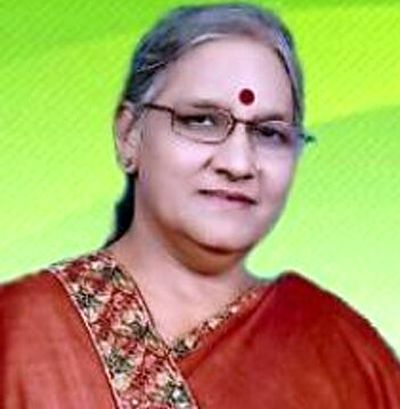 The Congress has fielded former prime minister Atal Bihari Vajpayee’s niece Karuna Shukla from Rajnandgaon assembly constituency in Chhattisgarh against Chief Minister Raman Singh. In the second list released by the party for the first phase of Chhattisgarh assembly election, the party declared its candidates for the remaining six constituencies. It earlier declared candidates for 12 seats. The first phase of the assembly election will be held on November 12 and the last date for filing of nominations is October 23. A former MP from Janjgir Lok Sabha constituency, Shukla left the Bharatiya Janata Party ahead of assembly polls in 2013 and joined the Congress next year, alleging that she was sidelined by the state BJP leadership. “Shukla had been active in Rajnandgaon after joining the Congress. She is a strong candidate who will not only give a tough fight to Raman Singh but will also defeat him,” Congress state communication wing chief Shailesh Nitin Trivedi said in Raipur. While Girwar Janghel will contest from Khairagarh seat, Bhuneshwar Singh Baghel will contest from Dongargarh-SC seat and Daleshwar Sahu from Dongargaon assembly constituency. The party has also fielded Channi Sahu from Khujji seat and Indra Shah Mandavi from Mohla-Manpur (ST) seat. Shukla after quitting her parent party had been vocal against Raman Singh government. After joining Congress, Shukla had contested 2014 Lok sabha elections on the party ticket from Bilaspur constituency and lost to BJP’s Lakhanlal Sahu. Earlier in 2009 Lok Sabha elections, Shukla was a BJP candidate from Korba seat and had lost to Charan Das Mahant of Congress. In the latest list, the party has renominated two sitting MLAs while denied ticket to as many others. Two legislators -- Daleshwar Sahu from Dongargaon seat and Girwar Janghel from Khairagarh -- have been retained, Trivedi said. The sitting MLAs from Khujji and Mohla-Manpur seats Bholaram Sahu and Tejkunwar Gowardhan Netam respectively have been denied tickets. The new faces who have been fielded are Channi Sahu (Khujji), Bhuneshwar Singh Baghel (Dongargarh- SC) and Indra Shah Mandavi (Mohla-Manpur- ST). The Congress has declared candidates for all 18 seats that will go to polls in the first phase. The candidates for remaining 72 seats that will go to polls in the second phase are yet to be declared. The Congress is out of power in Chhattisgarh for the last 15. The BJP has so far announced candidates for 78 seats including 18 going to the polls in the first phase.